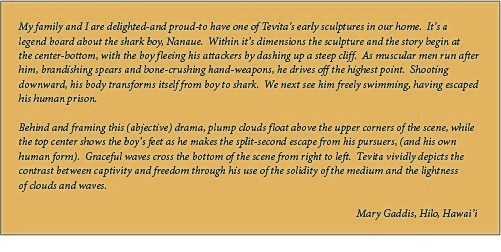 What are people saying about Tevita Kunato - Hawaii Woodcarving by Tevita Kunato. It was great to see you and to see the canoe installed in it's new home. During an amazing sunset last night it appeared to be floating peacefully right on the horizon. 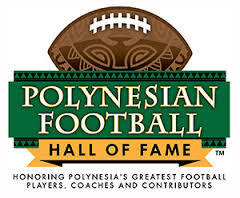 play such an important role in our Hawaiian home. the myth behind the carving. It adds grace to our home. Tevita-I wanted to thank you so very much for the outstanding work and craftsmanship you put into making our dream a reality. I was thrilled to have found your website when initially looking for someone to craft a wood carving of Maui's hook and the final result is so very much more! Being able to select the special piece of Koa wood and working with you to incorporate the various sea life and aspects of our love for Maui and the Hawaiian islands into this storyboard which my son and I wanted to give to my wife as a Christmas gift. As we recently had a new wall cabinet custom made and installed I had the cabinet maker leave space for us to display this wonderful piece and we are so very pleased. I cannot thank you enough Tevita for your wonderful work, your willingness to create a special and unique piece of art that will stay in our family forever. I highly recommend everyone wanting something beautiful and very special to look at your gallery and thank you again for everything.